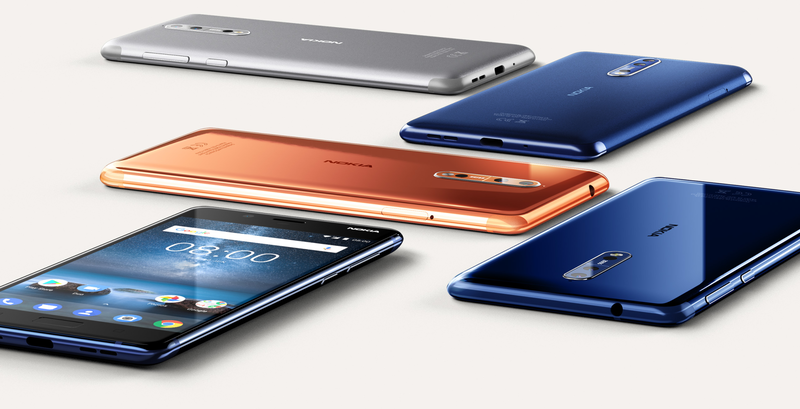 Nokia 8 is now official! Here is all you need to know! Nokia is one of those companies ,because of whom people started using mobile phone. The only company which user trusted the most was nokia. And the only company who have the capability to strike back in people’s heart. If we entirely ignore the Windows phone era Nokia have a great user experience. And now Nokia have launch its first Flagship phone thaqt is Nokia 8. After all Leaks and Rumors now we can have a confirm knowledge about Nokia 8. Here is the complete Overview about Nokia 8. The Camera that can stand in all other phones which are know for cameras. Nokia 8 have 13 MP rear and front camera with auto focus.that combines a color and monochrome sensor, shots from which are combined into a single shot with greater contrast using “Image Fusion Technology.Other camera features include two-tone flash, apertures of f/2.0, and a special mode called “Boothie”. A great audio quality.The phone uses multiple microphones to capture high dynamic range and record binaural audio, which means that you’ll get high-quality stereo sound when you go to share the video with your friends, family, or YouTube/Facebook fans. The Nokia 8 will launch in four colors – Polished Blue, Polished Copper, Tempered Blue, and Steel. Keep in mind some of these colors could be specific to certain regions or carriers. The phone will launch in Android N. And company is saying that the have already started testing Android O . and will give a quick Update for the flagship. The price of the phone is 599 Euros. While the US price tag hasn’t been revealed yet, the European pricing translates to around $700. which if is true then might not be a budget flagship. Previous articleInstagram announces Threaded Comments!